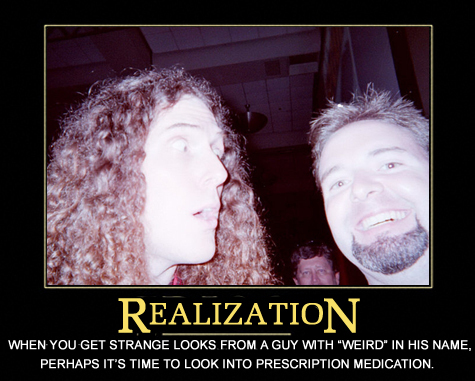 – Due to a high volume of blog traffic from fans searching on Weird Al Yankovic following the recent opening of the “Al’s Brain” exhibit at the OC Fair, I have added nearly a dozen new links and updates to both my previous articles: Explore Weird Al’s Brain, and Weird Al Yankovic News Round-Up. – Bill Kopp has provided an update with a little more info [click here] on the Dumb Bunny and Jackass series he is developing with Brad Garrett. – Added some info regarding an autograph signing event for Chowder to what has become the second most-read article on this blog since March: The Last Recording Session for ‘Chowder’? 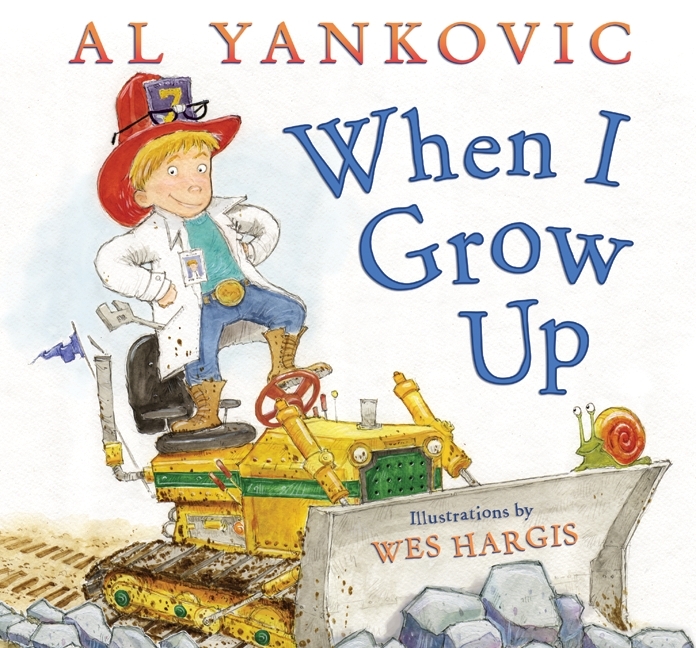 Due to an increasing number of search hits on my blog for Weird Al Yankovic, I’m taking this opportunity to clean out my backlogged bookmarks related to Al from the last few months. – 7.17.2009 — Al directs Beatles legend Paul McCartney in this photo (via Twitter). – 7.12.2009 — I’ve added more links to my previous article on the “Al’s Brain” exhibit at the Orange County Fair in California. – Join your fellow “Close Personal Friends of Al” for AL FEST 2009 at the Holiday Inn in Costa Mesa, CA on Saturday, August 1st. Special guests include Dr. Demento, Jon “Bermuda” Schwartz (Al’s drummer), Jim “Kimo” West (Al’s guitarist), a performance by The Valtierra Latin Orchestra featuring Rubén Valtierra, and a “UHF” 20th anniversary celebrity panel. More details are available at AlFest2009.com. And if you want a preview of what to expect from the event, check out this article from The OC Register. – From the looks of a recent Twitpic, Al will be reprising his role as “Uncle Muscles” for an upcoming episode of [adult swim’s] Tim & Eric Awesome Show Great Job. – Wired.com Blogger GeekDad ranks his picks for the top 10 Weird Al songs, complete with YouTube links. – NPR’s Marc Hirsh explains why Al is a “Stealth Pop Musicoligist.” And on a related note, NPR’s program All Things Considered has launched a series called “You Must Hear This” with “chart-topping and critically-acclaimed musicians talk about the recordings they consider essential listening” (according to a press release). Weird Al is listed among the program’s guests, and an archive of his broadcast will be available on NPR.org once it airs. – Comedian/actor/TV personality Michael Ian Black explains why he loves Weird Al. – Al masters new songs at Bernie Grundman Mastering. – Al joins Mike Nelson for a RiffTrax commentary on Jurassic Park. – Transformers fansites TFW2005.com and Seibertron.com offer highlights of the Botcon 2009 panel Q&A with Weird Al and voice actor David Kaye discussing Transformers Animated. The 10-minute 3D film is a mix of animation and live-action footage hosted by Weird Al, who also served as writer and producer for the project. The OC Register interview with Weird Al includes a great many more details out the exhibit, although I feel the need to offer a correction that this is *not* Al’s “first computer-animated music video.” That distinction belongs to the “Beverly Hillbillies” music video from the UHF movie soundtrack, although to clarify it did use a mix of live-action and computer-animation. So I’m assuming this will be Al’s first music video that’s *entirely* 100% computer-animated. Update 6.11.2009: Weird Al’s official YouTube Channel has a promo video for the exhibit. And an official site has launched as well — AlsBrain.com — with behind-the-scenes footage, interviews, merchandise, schedule, and exhibit info. Additionally, the exhibit will appear at the Puyallup Fair September 11-17 near Seattle, WA, and at the 2010 World Expo in Shanghai, China. Additional dates are yet to be announced. Update 7.12.2009: Costa Mesa’s Daily Pilot has an article with more details on the exhibit, including quotes from Al and a photo preview. Elsewhere, Weird Al announced via Twitter that he has a cameo voice in an upcoming episode of Nickelodeon’s hit series, Back At The Barnyard, and that he is in the studio this week “recording 4 new tracks” for his new album (planned for release in 2010) which he posted a photo for as well. Previous news: 4.13.2009 — Weird Al vs Malcolm McDowell.